A new candidate has been chosen by the Workers’ Party to contest the extended Cork City North West ward in May’s local elections. 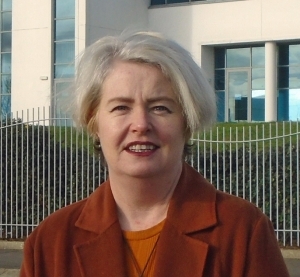 Catherine Coffey , a high profile volunteer worker and community activist, was selected by the party at a convention in the constituency last week. Following her selection Catherine Coffey said “At present Cork City Council is failing the majority of citizens of this city and particularly those who live on the Northside of the city. There are far too many right wing and conservative politicians who are not prepared to challenge the gross inequality and a management system more interested in promoting big business instead of providing services to working class people. As a socialist I intend to challenge this status quo”. Catherine is originally from Co. Kerry and comes from the Travelling Community. Since moving to Cork ten years ago, she has been active in a broad range of issues including the campaign against water charges the right to housing and opposition to evictions. A survivor of industrial abuse Catherine is very aware of the hardships that can face people from all walks of life. Her involvement in voluntary work with families in need has given her insight to what is needed and what services need to be invested in and made stronger so as everyone is given an equal chance.